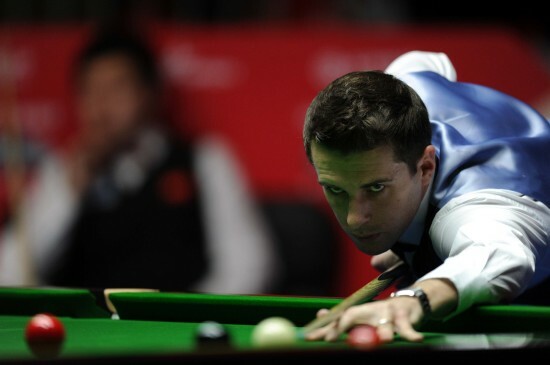 The World Number One Mark Selby has pulled out of China Open due to neck injury. Selby is going to play the local hero Ding Junhui in last 16 today but announced his withdrawal due to neck injury. Ding Junhui is therefore received a bye to quarter-finals, he will play either Ali Carter or Lu Ning next. Ali Carter v Lu Ning will replace Selby v Ding watch to be televised. Selby said: "I'm absolutely gutted to have to pull out and to let down the Chinese fans as I was really looking forward to playing Ding tonight. But I have been suffering with neck pain and I struggled through my first round match. I don't want to do any more damage, especially with the World Championship coming up, so I'm going back to the UK to get some treatment. I look forward to coming back to China soon as I love playing here." Meanwhile, Ronnie O'Sullivan beaten Mark Williams by 5-1 to make quarter-finals, playing Stephen Maguire next who saw off Ricky Walden in decider. Judd Trump came from 2-3 behind to beat Stuart Bingham by 5-3 while Stephen Lee continued his good form, winning 5-3 over Graeme Dott.